Bottomline Technologies is a world leader in automating and managing processes involving payments, invoicing, global cash management, supply chain finance and transactional documents. 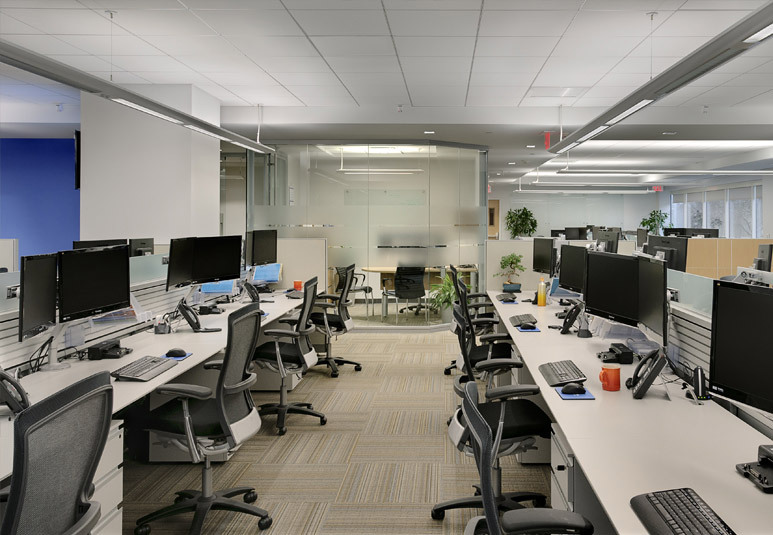 To meet the growing demand for their services and products, Bottomline chose to expand their office space with a 4,500 S.F. 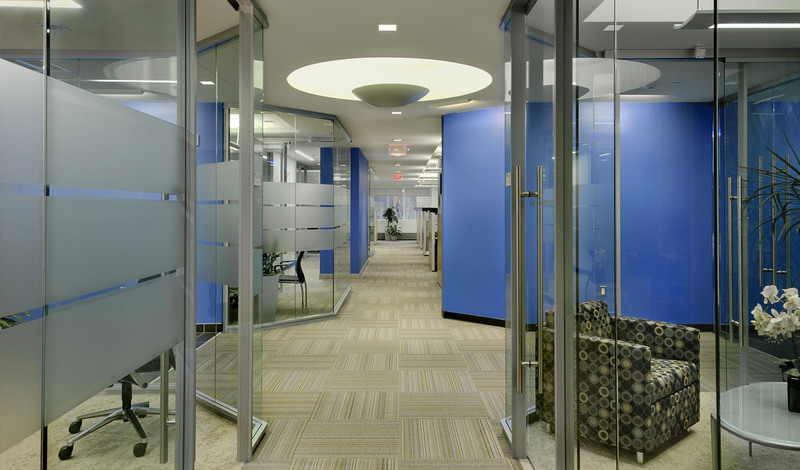 renovation within the building already housing their headquarters located at Pease Tradeport in Portsmouth, New Hampshire., and contacted TMS Architects to design this expansion space. Bottomline Technologies promotes a sustainable message through a paperless automation software and teleconferencing capabilities. They also wanted to be greenminded with their most recent renovation. Known as the “1st Floor Expansion Project”, the newly outfitted office space was built using sustainable construction methods with sustainable building materials and equipped throughout with innovative energy saving devices. 90% of the demolition material was either recycled or donated. 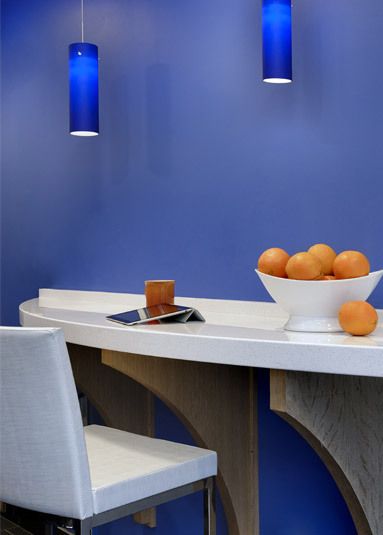 New finishes had to meet three major design factors before being considered: have a high post or pre-recycled product content, a low-life cycle cost, and enhance the think-tank mindset. 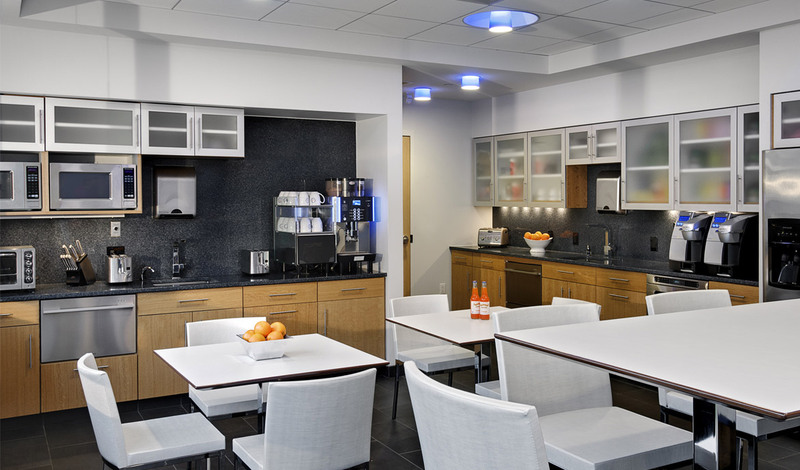 The lighting and mechanical systems utilize light harvesting and CO2 sensors to automatically adjust light and air levels based on occupancy use throughout the day, while furniture systems offered flexible workspaces designed for efficiency, collaboration and constructive down-time think sessions. The open office space houses 54 workstations, several staff offices, a hotel space for visiting clients or consultants, 3 team rooms, a teleconference capable conference room and a well equipped cafe, which encourages team building and spurs creative ideas even away from the desk or office. 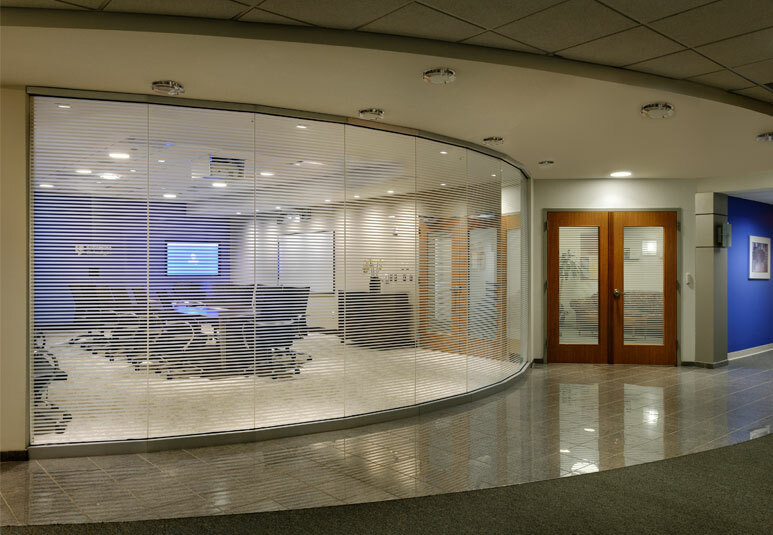 Most of the rooms feature glass partitions and sliding glass doors, with aluminum frames and are combined with the “Bottomline Blue” featured on key walls and light fixtures to subtlety represent the company message of an efficient, creative, team building, and high-tech minded business.